Ronnie is the most decorated professional bodybuilder in IFBB history with 26 victories headlined by his 8 Olympia titles and a 2001 Arnold Classic victory. 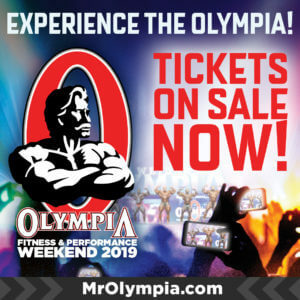 With his induction, the three highest ranking members of the Olympia Champions Club are all members of the hall of fame (Lee Haney 8, Arnold Schwarzenegger 7). The 1996 Olympic Gold Medalist in amateur wrestling has won over 10 world championships between WWE and TNA Wrestling. He headlined Wrestlemania 19 and he remains an ambassador to amateur wrestling. Recognized as one of THE greatest catchers in baseball history, Bench was a leader of what would be known as “The Big Red Machine” – one of the greatest teams ever. There are many great UFC champions but Royce was the 1st. Recognized globally for his amazing skills and a teacher to countless great champions. The Gracie family is martial arts royalty. Best known for his iconic role in Rocky IV and most recently with The Expendables, Dolph is also a decorated karate champion, winning championships in Europe. AnnMaria is the first American to win a world judo championship, winning the title in 1984. She’s also received attention in recent years as the mother of another judo superstar – Ronda Rousey! Roger’s work has been featured globally in eight different languages. Respected not only for his vast knowledge in areas of fitness and strength training, but also for his inspiring work as a child advocate and childhood domestic violence awareness speaker. 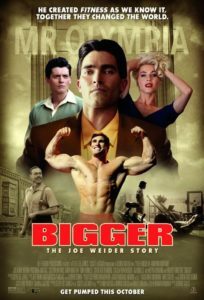 Formerly a Bodybuilding.com “Writer of the Year”, Roger also works with major brands from around the fitness industry.